Costa Rica has become a popular surf destination for good reason. 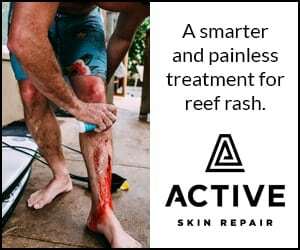 There’s consistent year-round surf, it’s relatively inexpensive, the water temperature averages in the low 80s, and there’s an ever-present relaxed vibe with magical powers to chillax your every last ounce of stress. From world-class breaks to beginner-friendly bumps and everything in-between, Costa Rica offers a whole lot of waves for all levels of surfers. And whether you’re looking for a low-budget adventure, all-inclusive surf camp, or luxury hideaway, you’ll find that Costa Rica has a plethora of options to suit all types of travelers. Because of Costa Rica’s reputation for being the most stable and safest country in Central America, there has been a surge in tourism and development over the past 20 years. The upside is that the country is quite safe and easy to travel in, and there are lots of awesome restaurants and places to stay. 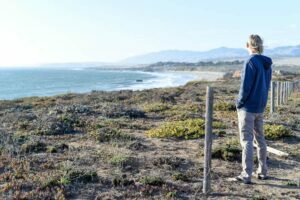 The slight downside is that there are more travelers than ever, but many smaller surf towns are growing in a respectful and sustainable way and there are definitely still opportunities to get off the beaten path if you go exploring. As with any destination, you just have to know where to go. 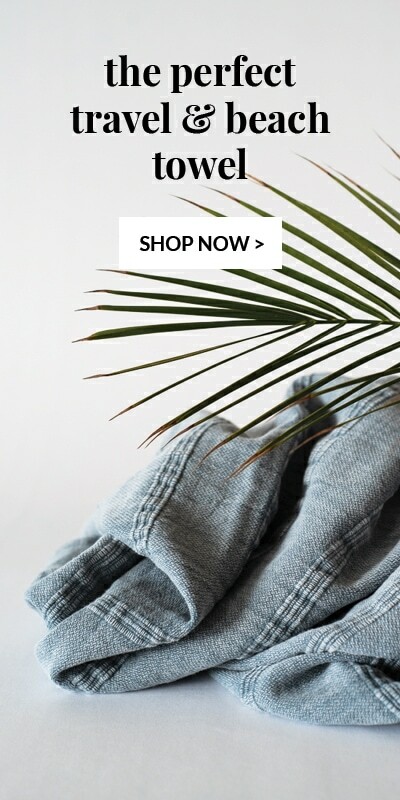 Do some research to find the areas (and waves) that best match your style and what you’re looking for. 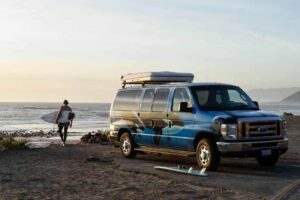 When you’re planning any surf trip there’s a lot to consider–your level of surfing, travel logistics, the time of year you’re most likely to score waves, and of course, your budget. 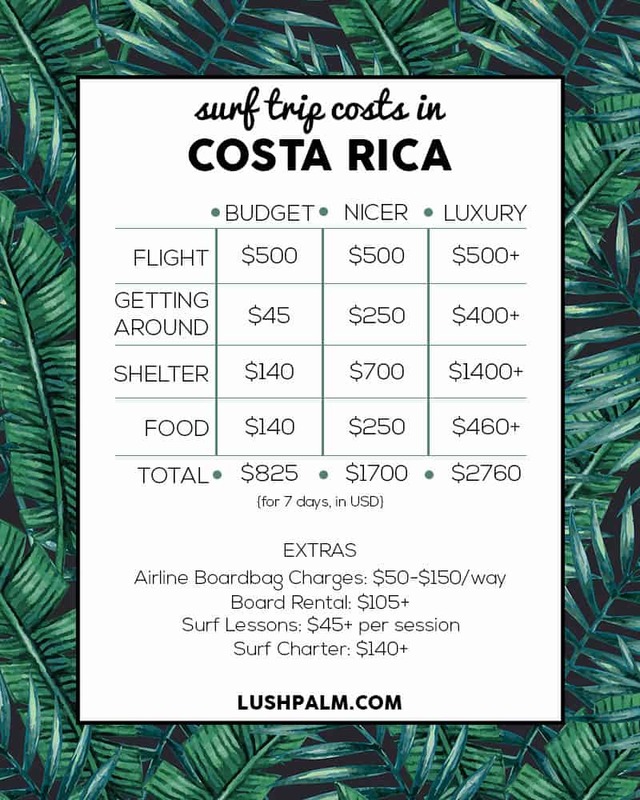 In this Guide to Surfing Costa Rica, we’ll break down when and where to go, transportation, where to stay, surf trip costs, and everything else you need to know to make your trip a raging success! Vamos! Costa Rica is home to some really incredible breaks. Witch’s Rock and Ollie’s Point in the northern region are two of the most famous because of Endless Summer II. 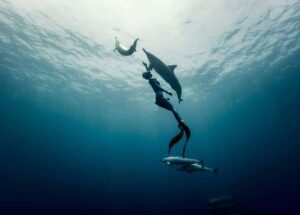 They’re also the kind of waves that surfers spend a lifetime daydreaming about. 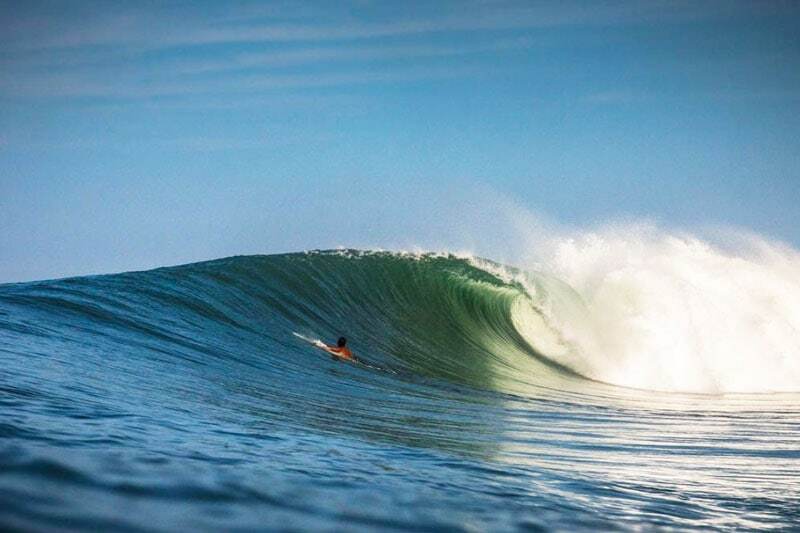 Pavones in the far south region is another world-class wave that rivals Chicama in Peru as one of the world’s longest lefts. 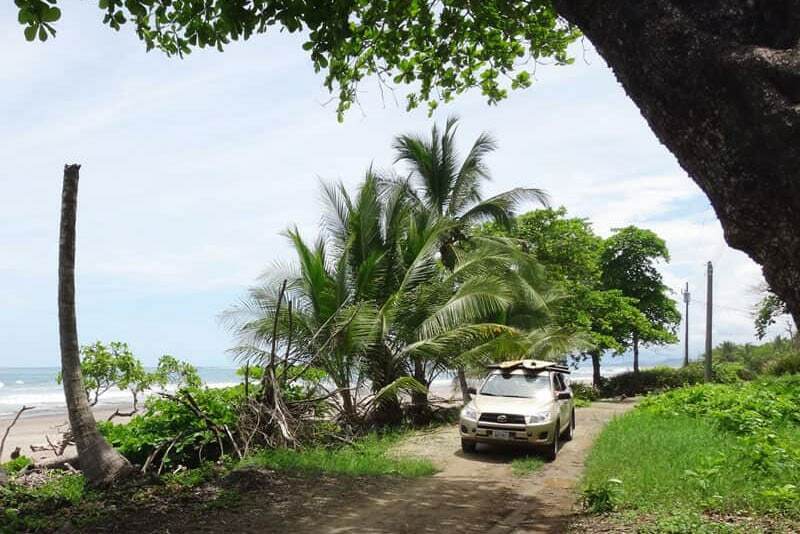 It can take you about 8-10 hours to drive from the Tamarindo area to Pavones so if you’re only staying for several days, you probably won’t want to spend half a day on the road. You’ll find the most consistent year-round surf in the northern region – between Tamarindo and Malpais. It’s also fairly easy to get around depending on the weather and road conditions so you can explore a lot of different breaks. This area loves a south swell so some of the best swells tend to fall in the April to October time frame. 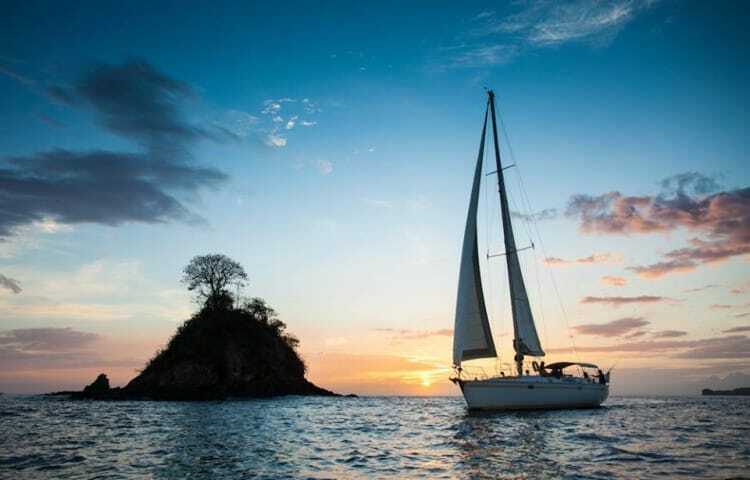 The greater Tamarindo area is a good hub for arranging boat trips to places like Witch’s Rock and Ollie’s Point, which are farther north and best accessed by boat. 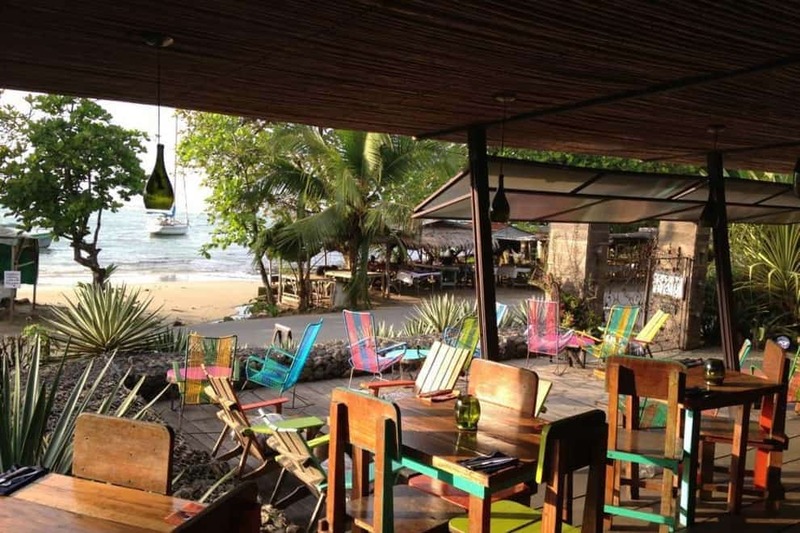 From Tamarindo, Playa Langosta is only 10 minutes south, Playa Grande is 25 minutes north. Nosara is less than 2 hours south and Malpais/Playa Santa Teresa is about a 3 and a half hour drive south down the Nicoya Peninsula. The northern region is probably one of your best bets when visiting Costa Rica for the first time. There are waves to excite and entertain any level of surfer. You’ll find multiple world class beach breaks offering rights and lefts, rocky reef point breaks, and plenty of random breaks that you’ll learn about once you’re there. 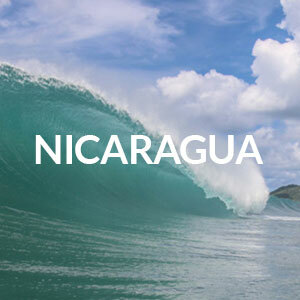 For more detailed info on the surf regions and seasons, check out this regional overview on the surf in Costa Rica. The (not all that) rainy season in May at Playa Santa Teresa. As with any destination, there’s a high and low season, and the price gap between the two can vary considerably. High season in Costa Rica is December to April, peak season is Christmas and Easter, and the low season is the rainy season (or green season, as the tourism industry calls it *wink*), between May to November. As the name suggests, the low season in Costa Rica (often called their “winter”) is the rainiest time of year. 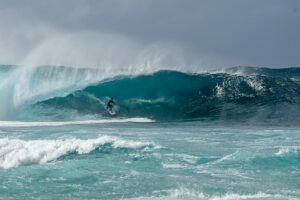 While rainfall is high, many surfers claim that the storms and swells in the Pacific produce the best surfing conditions. The other upsides are that prices for accommodations are greatly reduced, there are fewer travelers, and a lot of times it will just rain in the afternoon. The downsides are that rural roads can become completely impassable due to flooding and river crossings, and there’s always a chance that it could rain for a week straight. The rainiest months are September and October. The shoulder season is a great time to visit Costa Rica- you can still score reduced rates, there are fewer people, and you can generally count on good weather. May to mid-November is all considered the rainy season, but the rain in early summer will often just happen at night, and it’s a welcome relief, as the dry season will leave the roads extremely dusty. As with all high seasons, prices are higher, attractions are more crowded, and accommodations should be booked well in advance. It’s also good to know that some places require two to three-night minimum stays. The busiest holidays in Costa Rica are Christmas, New Year’s, and Easter- all of which are celebrated for several days. Holy Week (Easter week) is the biggest holiday in Costa Rica, and many local families head for the beach. As one of the most traveler-friendly places in Central America, Costa Rica has many transportation options on offer. Buses, shuttles, domestic flights and more are easily accessible and cater to travelers, whether you’re heading to a major tourist hub or a tiny beach town. The best mode of transportation for your trip will depend on how many different locations you plan on visiting, how many breaks you want to explore, as well as your budget. Costa Rica has two international airports: Juan Santamaria Airport in the capital of San Jose (SJO), and Daniel Oduber Quirós Airport, also known as Liberia International Airport (LIR), in the Guanacaste region. 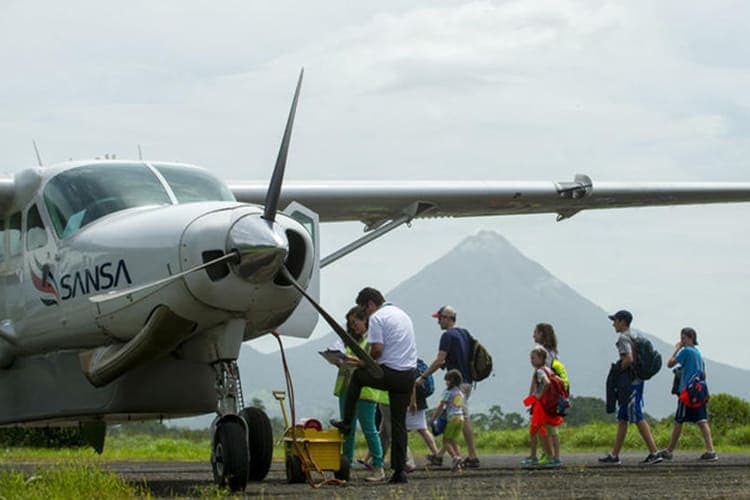 If you’re heading to the northwest coast (or anywhere north), or you’re thinking to swing on over to Nicaragua, you’ll want to fly into the Liberia Airport. If you’re headed anywhere on the central coast, south, or Carribean side, you’ll want to fly into Juan Santamaria Airport in San Jose. 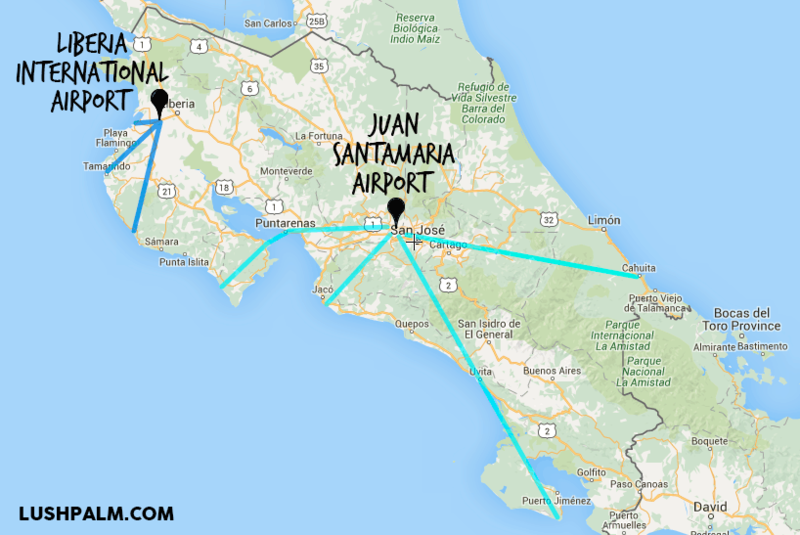 If you’re staying in Costa Rica for an extended trip of a month or more and you’ll be traveling around the whole country, you could fly into either airport, but we’d recommend the airport in San Jose because it’s so central. 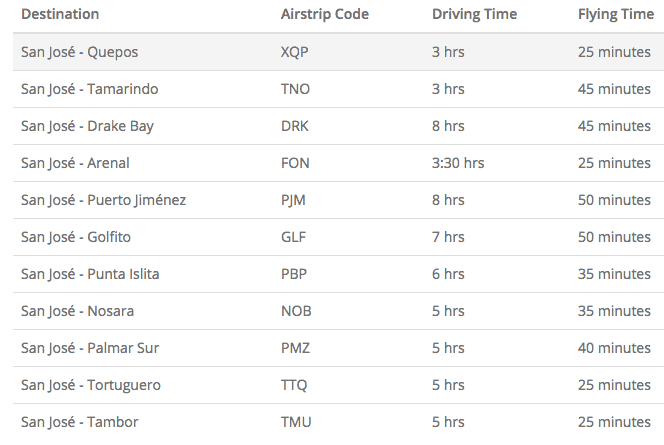 The cost of flights into Liberia versus San Jose are very similar, so fly into the airport that is the most convenient to your final destination(s). Below are a few examples of flight costs to Costa Rica. All flight prices are roundtrip including taxes and shown in US dollars. 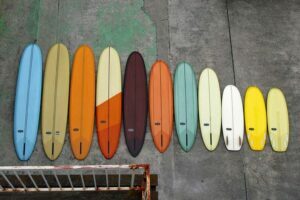 Surfboard fees: Unless you fly on one of the few airlines that don’t charge for surfboard bags, tack on an additional $75- $200 each way if you want to bring some boards. Check out our Guide to Surfboard Bag Fees to see the best and worst airlines for board bag fees. If you’re on a tight budget, your best option is the bus. Costa Rica has excellent public transportation, so you can take buses for your longer treks, and then walk, bike, or hitchhike around the local area once you arrive at your home base. It goes without saying to of course always exercise caution with hitchhiking. The downsides to public transportation are that buses can be time-consuming, and they can also lead to quite an adventure figuring out your route and where you should be when. But they’re very cheap and you can also kick back and enjoy the scenery! There’s a great lowdown on Costa Rica’s public transportation here. If you want to have total flexibility to go where you please, renting a car is a great option. The main roads in Costa Rica are paved and well taken care of, and car rentals are reasonably priced. That being said, if you go off the beaten track you’re bound to come across dirt and badly maintained roads. In the rainy season, you should definitely get a 4-wheel drive vehicle (as roads can get very muddy), but even if it isn’t rainy season, a 4×4 will come in handy and give you more flexibility. Cost: $32 – $160 a day, and rental companies require you to get minimum insurance coverage that will run you $25 – $35 additional per day. That being said, I just found rates as low as $2/day on Expedia, so maybe they are having a crazy fare war or something right now, but just goes to show that you can always luck out with pricing. One more additional cost for renting a car is a $1,000 refundable credit card security deposit. If you will be going to one or two main locations and you don’t want to deal with a rental car, there are many shuttle buses to and from the airports, as well as between popular destinations. Shared-ride shuttles are faster and more convenient than buses, but of course, come with a bigger price tag. 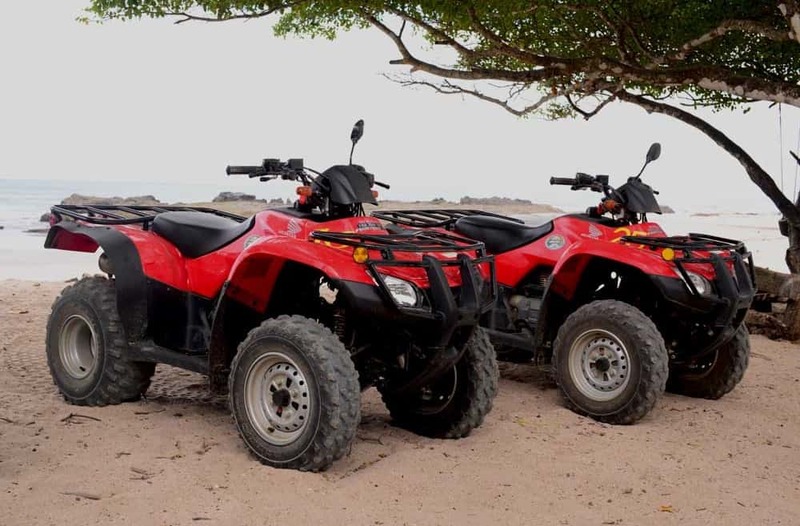 ATVs aren’t an option for getting you to and from the airport of course, but they’re a fun way to zip around and explore at your destination. You can find daily, weekly, and monthly rentals in many beach towns. If you’re traveling in a group or don’t have a tight budget, private transfers are a great option. Private transfers can be less expensive than taxis, and the convenience of a professional driver isn’t bad either. Cost: Cost greatly varies depending on how many people you’re traveling with. 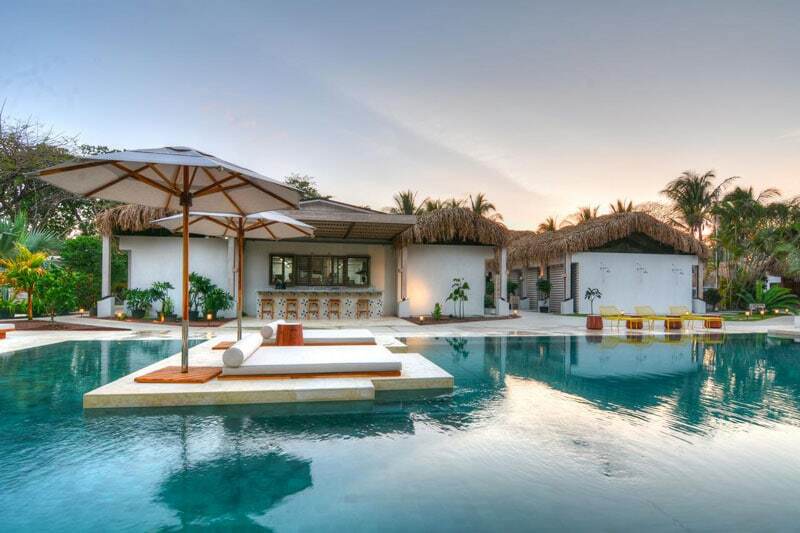 For example, the price for a trip from the airport in San Jose to Playa Hermosa can be as low as $125. If you’re traveling with a party of 6, that’s about $21 per person, and for 2 passengers it would be about $62 per person. Traveling by car or bus is a great way to see the country, but if you’re short on time or just want to get to the breaks faster, a domestic flight is a good option. The main airline for domestic flights is SANSA airlines. 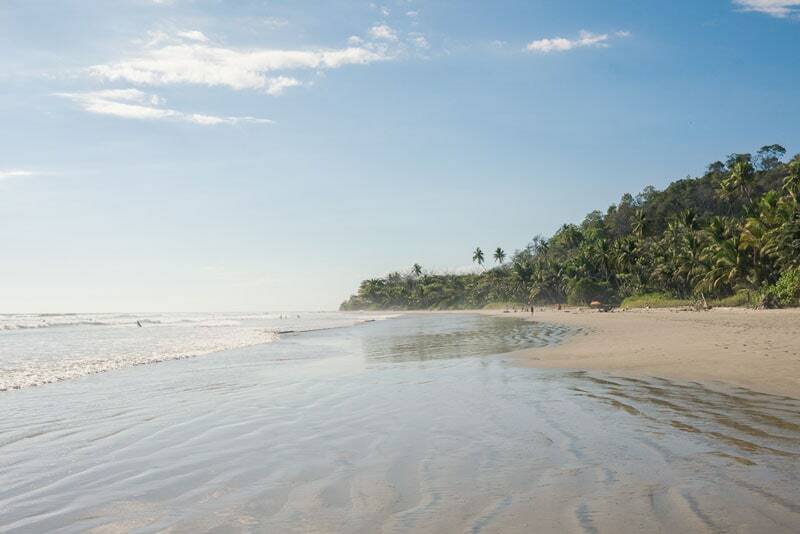 And while it’s awesome that everyone wants to name their beach beautiful beach because every beach is so beautiful, you don’t want to show up at the one that’s five hours away from the Playa Hermosa where your hotel is. Also, it’s good to know that locals in Costa Rica are very friendly, so if you get lost, don’t despair! Just ask a friendly Tico and you’ll be right on your way. 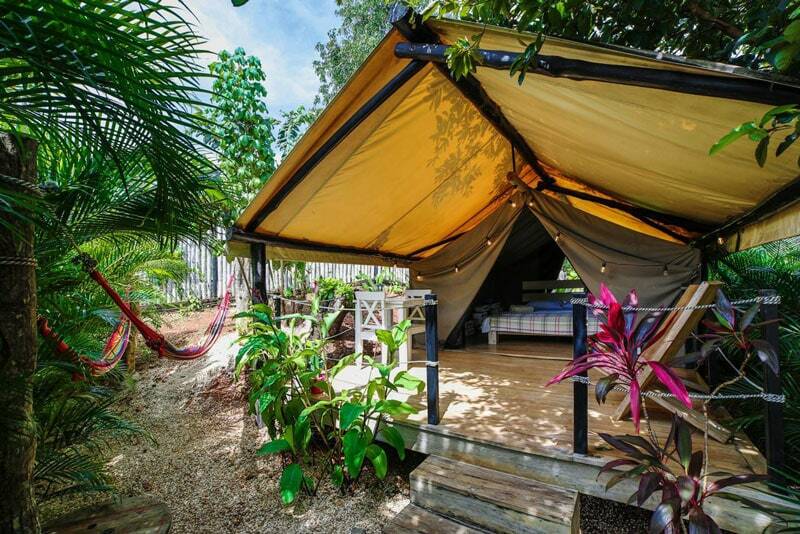 In Costa Rica, you’ll find a range of accommodations that cater to every budget. As Costa Rica has experienced quite a bit of development over the past 20 years, there are a ton of options. Whether you’re just looking for a place to lay your head, an all-inclusive surf camp, or for the ultimate beach hacienda, Costa Rica is there for you. 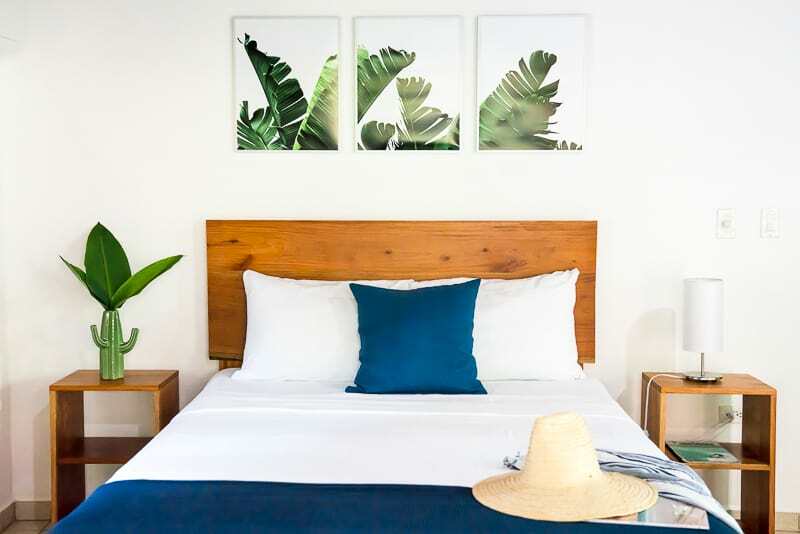 If you’re traveling on a low budget, there are plenty of budget-friendly places to stay, especially catering to surfers near surf breaks. Look for a hospedaje, pension, or pasada. $10 – $30 per person, per night, will get you a bed in a dorm-style hostel, or a basic private room if you’re traveling with at least two people. Note that the same place in peak season could run you double. 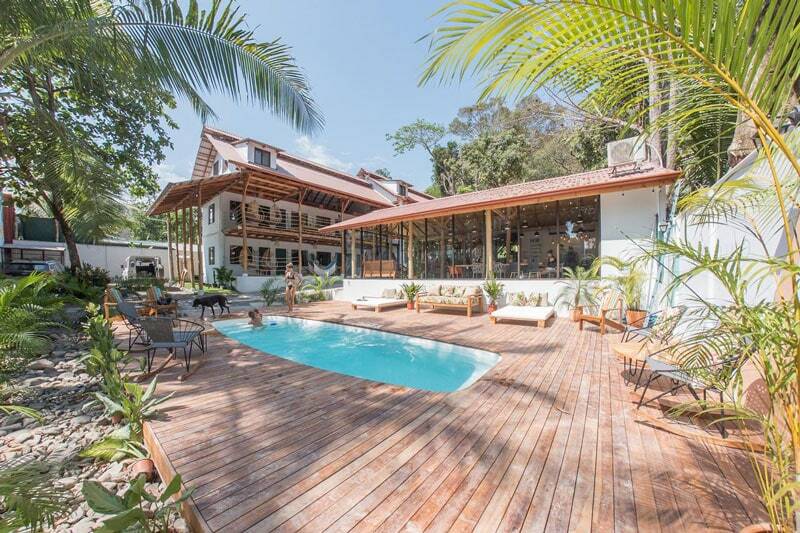 For the midrange budget, there are some very beautiful, reasonably-priced hotels and vacation rentals in Costa Rica. If you’re traveling as a couple or with a group, we’d recommend going this route, as you can find good rates, split the cost, and you might also be able to negotiate a bit if it isn’t high season. If you’re looking for luxury or traveling with a larger group, Costa Rica delivers the goods. 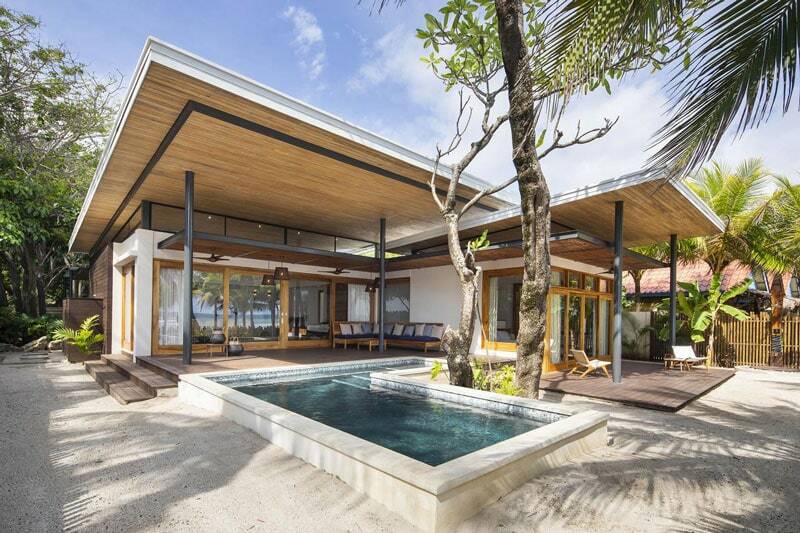 From five star hotels with all the amenities to modern beachfront vacation rentals, your only challenge will be choosing between your many options. 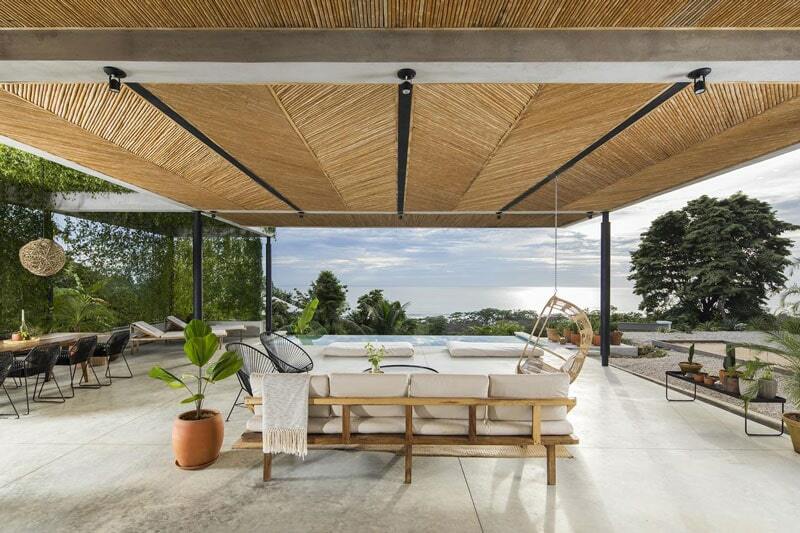 We’ve listed some a few properties below in every budget so you can get an idea of what to expect, and also check out these 12 rad Costa Rica rentals located at some of the best surf breaks in the country. As with anything else, the cost of food in Costa Rica varies greatly. The good news is that if you’re on a budget, you can eat on the cheap. And if you’re not on a budget, there are some really fantastic restaurants to be enjoyed. There’s a lot of expats in Costa Rica and they’ve brought their traditional recipes with them. Expect a range of options from Italian to vegan to amazing sushi. For all you foodies out there–you won’t be disappointed. If you eat at sodas (local inexpensive restaurants), shop at markets, and cook, you could spend as little as $15 a day on food, but I’d budget around $20 to be on the safe side. 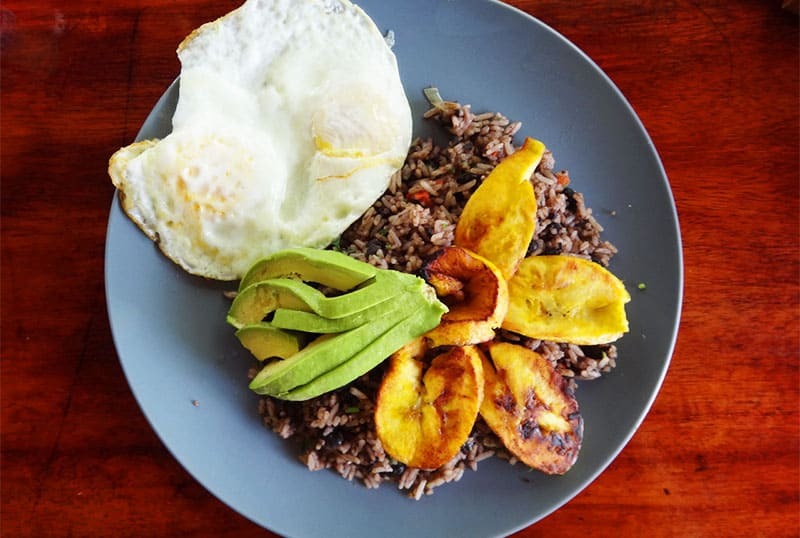 Standard Costa Rican fare like gallo pinto (mixed beans and rice with eggs) and casados (a dish with rice, black beans, plantains, salad, a tortilla, and option of protein) will run you $2 – $7, and they’re pretty darn hardy and tasty. Gallo pinto with plantains and avocado. You can find gallo pinto in pretty much every soda in Costa Rica, and it will run you about $3. This version with the added plantains and avocado is an extra dollar or so because it’s a souped-up version. For a mid to high budget, there are cafes and restaurants galore- with prices ranging from $6 for a sandwich, to a $40 fresh sushi dinner. So if you ate out for every meal and buy some drinks along the way, let’s say about $35 per day on a mid-budget, and of course, you could spend twice as much and up if you go uber fancy for dinner every night. 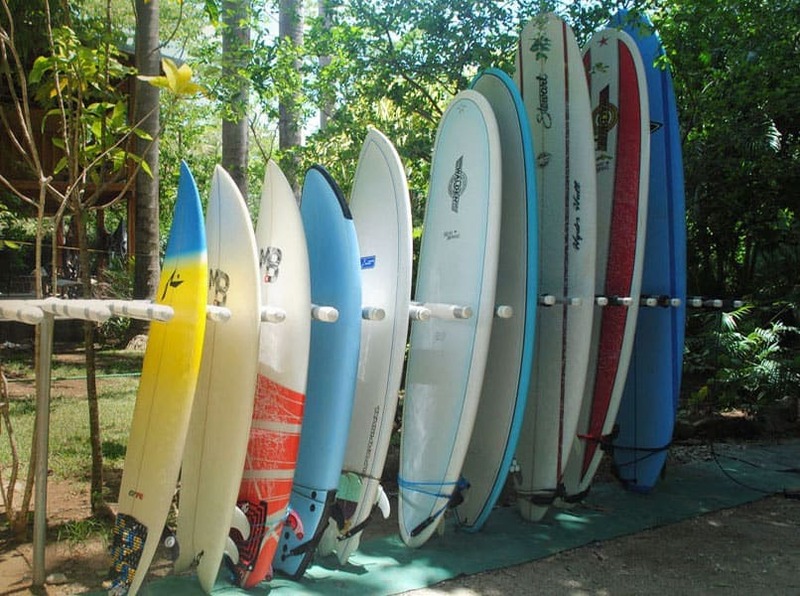 Board rentals in Costa Rica can range from $10 – $25 per day and a lot of surf shops are pretty laid back and negotiable on pricing. If you rent the board for an extended period of time you will most likely get a better rate. If you bring boards, then you just have to pay for extra baggage fees, which can range significantly and cost you anywhere from $50 – $150+ each way. Check out our breakdown on surfboard bag fees to get an idea of the best and worst airlines for surf travel. If you’re a beginner surfer, you’re in good hands, or rather, waters! Costa Rica is a great place for beginners because the water is warm, there are small sand-bottom breaks all over the place, and surf schools on just about every corner. Most surf schools include board rental in a package, so you’re covered. 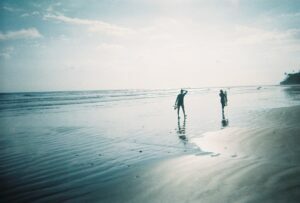 Rates for surf lessons will vary depending on how many people are in your group. For the more intermediate to advanced surfers, there are a few options to hop on some surf charters for the day and check out some legendary spots like Witch’s Rock and Ollie’s Point. The prices can be more expensive than surf charters in places like Indonesia, but like with most surf destinations, you might be able to find some less expensive options when you get there. The moral of the story is that Costa Rica is a fantastic place for surf trips, and you’ll have an awesome time no matter what your budget is. 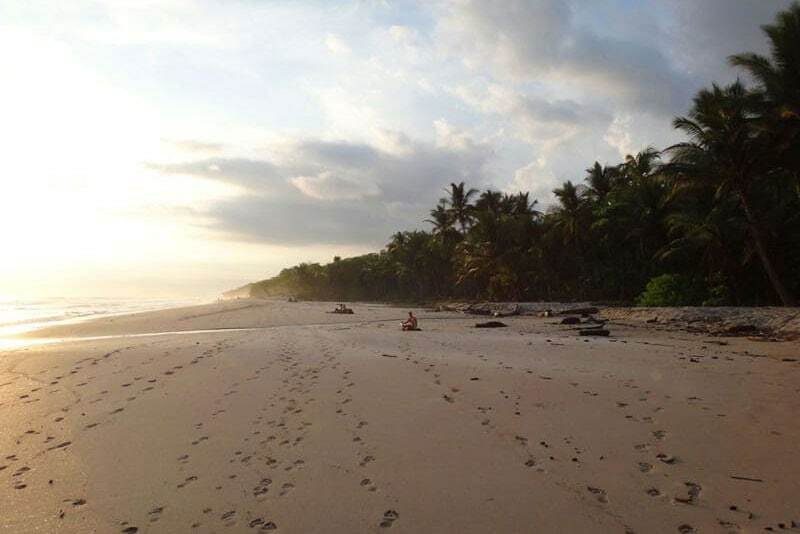 Costa Rica is developed enough to be easy and have great options, but still undeveloped enough to find yourself alone on a 5-mile stretch of beach if you go exploring. And if you encounter days when the surf isn’t cooperating, you can enjoy the beautiful Costa Rica beaches, hike to waterfalls, ATV, go fishing, or any other of the many activities on offer. Last but not least, be sure to check out our ultimate Surf Trip Packing List for a full breakdown of everything you might want to take on your trip. Did we miss anything on surfing Costa Rica? Have questions, comments, concerns, tips, or otherwise? Please let us know in the comments below! Like our Guide to Surfing Costa Rica? 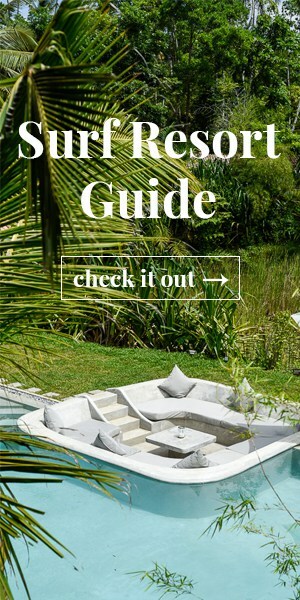 Check out our other surf destination guides. Costa Rica looks beautiful! Thanks for sharing the great photos and suggestions on accommodation, dining and much more! 🙂 There certainly is a nice choice for hotels to suit most everyone’s budget.